Monica decided that she had no interest in coming out on Saturday. It was probably because Ellie Mae was having such a great time being everywhere. 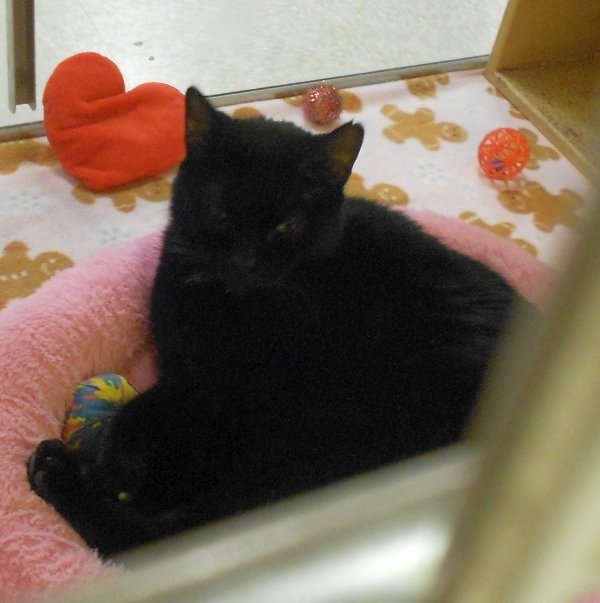 Monica is lovely, but we went into Catonsville and saw that she really doesn’t want to be around other cats. Sadly, you are – she is very lovely but needs to be an only cat. We saw on Our Rainbow Friends blog you lost your Mama Cat in April. We came by to say how sad we are for your loss. Would you like to do a Mousebreath.com interview with us? We have a contact form on our blog so you can send your email address.